*Daaang! * Yep, this is how Mac users know their computer is alive every time they start it. It’s reassuring. And so very … annoying! You want to turn it off but there is no button! So is there a way? Yes, two actually. This is by far the simplest method. You start MacOS and turn the volume down to zero and reboot. Now your Mac should be nice and quiet. Then you can install MorphOS. The boot sound will not return. But how about if you got no MacOS installed, or have already installed MorphOS over it? Now things get a little trickier. You can either reinstall MacOS if you can and use method one. Or you can use a PPC version of Linux and change settings there. The obvious choice is Ubuntu, or one of it’s derivatives. This is because Ubuntu has the best set of drivers. However, not all versions will work with every PPC Mac out there for some reason (firmware issues I suspect). 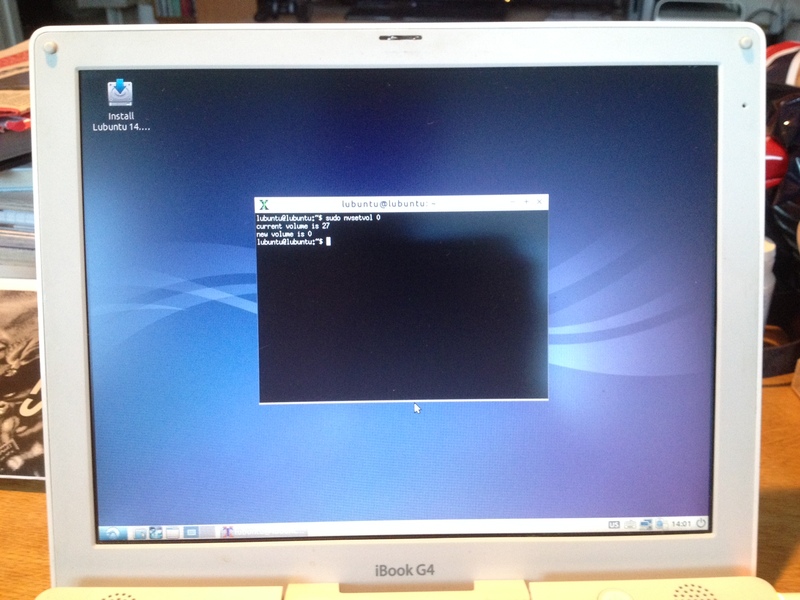 Ubuntu 12.04 LTS works with my G5 but not my Ibook. But after some trial and error I noticed that Lubuntu 14.04 LTS work on every Mac I have. I think it’s because Unity in Ubunty is a graphic memory hog and the poor Ibook simply can’t handle it. Lubuntu is a much better choice for computers with slow or poor hardware. Then write a letter, any letter (like “h” like I did in the picture) and press return. If you don’t, Lubuntu will after a while automatically boot in default mode (even if you are typing) and that might not work. Now, write “live video=ofonly“. I’m not sure what it does, but it usually makes Lubuntu load successfully. If you write “live” or do nothing it will probably fail somewhere. There you write “sudo nvsetvol 0“. It will show the original boot sound volume and then the new one: zero. Now go to the same button at the far left at the bottom and reboot the computer. Remove the CD/DVD and boot into a now silent MorphOS instead. Your computer will go *daaang* no more! Note: If you have the Radeon X800, no Linux distro will work. There seems to be no working driver for that graphic card (which actually means that MorphOS can do something Linux can’t!). So in order to use method two you need to remove that card and switch it to something supported, like the Radeon 9600. Then it will work. This entry was posted in Uncategorized and tagged Boot sound. Bookmark the permalink. I have only MorohOS on my PowerBookG4. 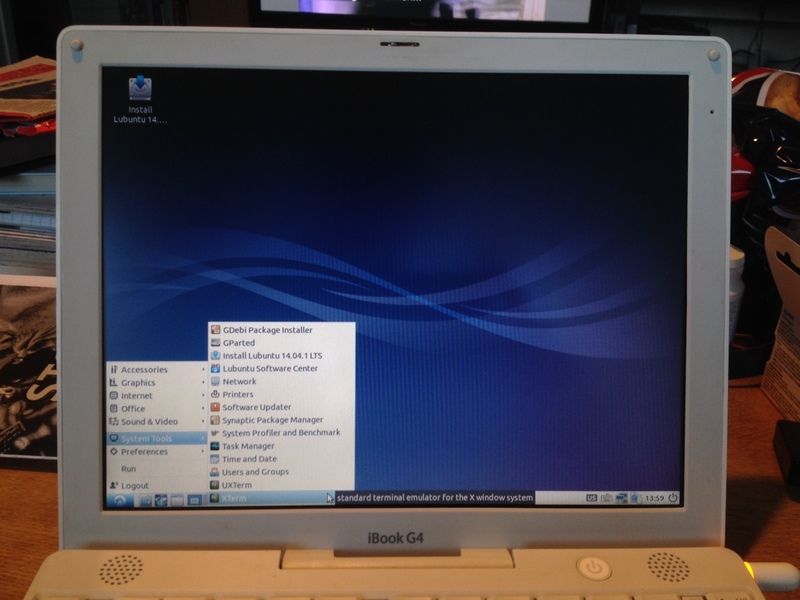 Could I boot the PowerBook using MacOS Leopard CD and set the volume to zero? 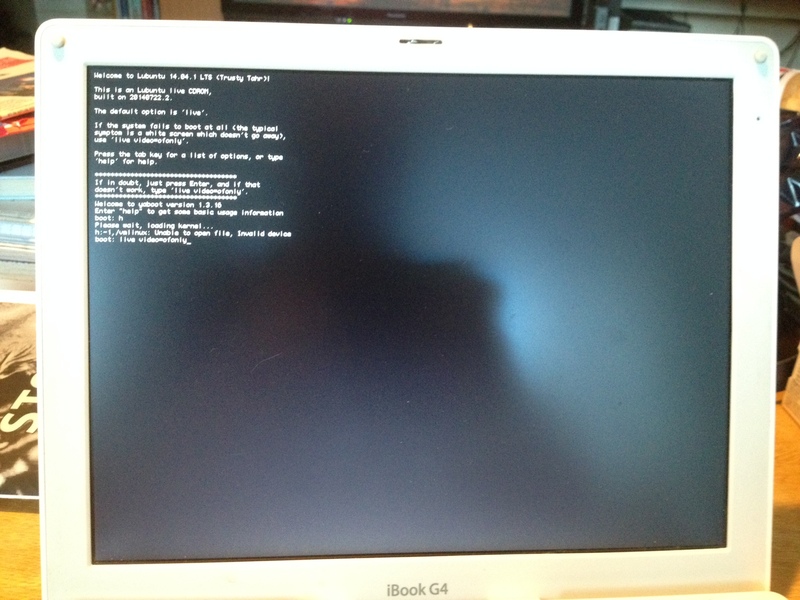 Will the annoying sound be removed if I boot the PowerBook from MorphOS partition? As far as I know you need to install MacOS first. Apple is not keen about giving it’s users that kind of freedom. I think burning Lubuntu on a DVD-RW is a better idea. I have already started my PowerBookG4 with MorphOS from DVD with MacOSX Leopard 10.5 (latest version with PowerPC support). Unfortunately installer and available tools has no volume controller. I have tried change volume from Terminal but I couldn’t (I tried command which works on my MacBook with OSX Yosemite 10.10.1). Probably OSX shoukd be installed. Exactly. So use Lubuntu instead and then you don’t need to install anything. 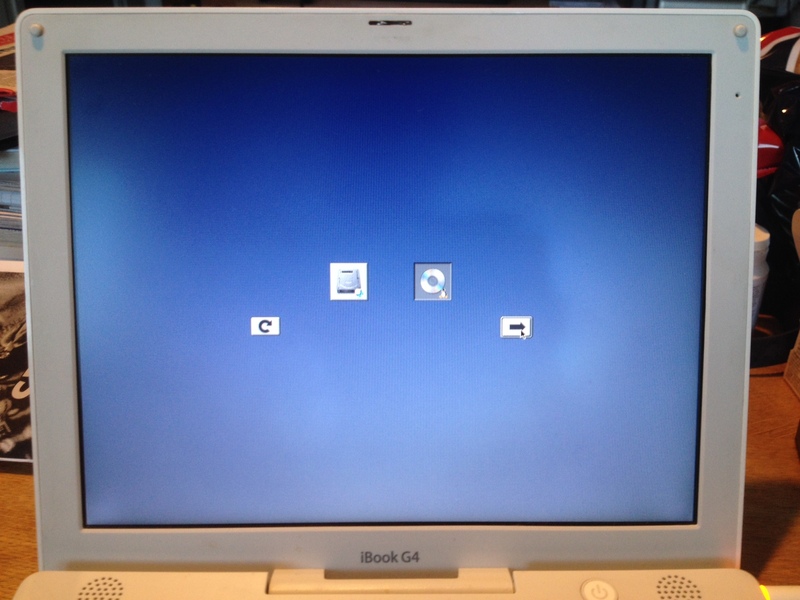 I booted my PowerBookG4 from DVD+Lubuntu. I entered magic “live video=ofonly”, seen boot screen and after some time I got black screen. I was waiting 20 minutes but the Linux desktop didn’t appear. Am I the only one liking the chime?